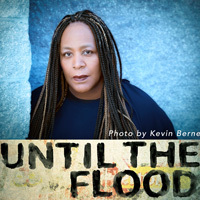 The Repertory Theatre of St. Louis is offering a substantial ticket discount for all Webster University students and staff wishing to attend the premier run of "Until the Flood" Oct. 12-Nov. 6. Celebrated writer, performer and Pulitzer Prize finalist Dael Orlandersmith spent a week in St. Louis, listening as many of our friends and neighbors described their lives in the wake of recent social unrest. From these conversations, Orlandersmith crafted a stunning piece that reflects the complexity of St. Louis without advancing any one viewpoint above others.